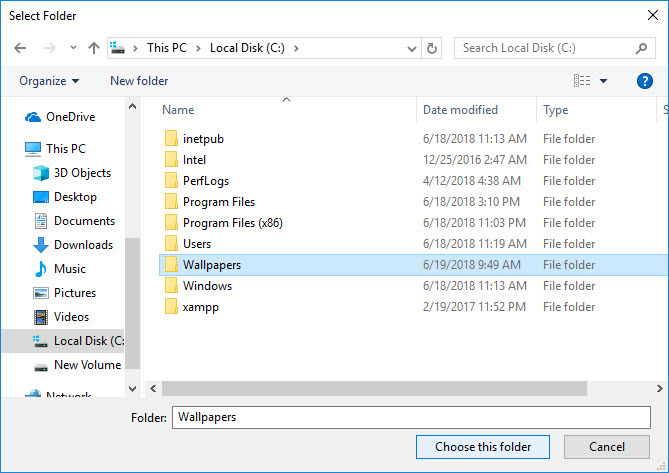 As you might be aware that Mac OS Now support dynamic wallpapers in latest release this is something you can also do on Windows 10 by doing little tweaks. You can run a slideshow on your desktop with time delay settings so that the wallpapers will automatically get changed after a set interval of time. This process is also applicable to Microsoft Windows 7. 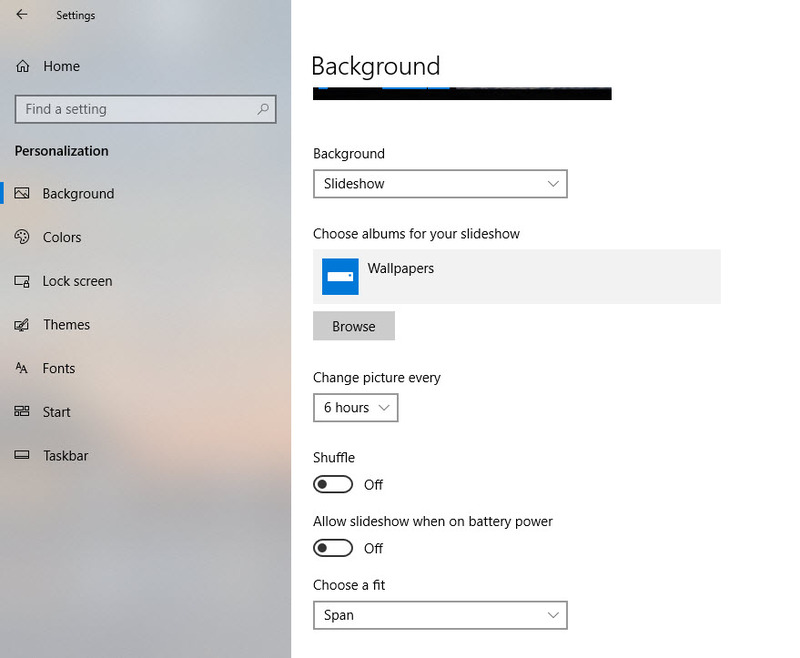 To setup slideshow settings for the wallpaper on your Windows 10 follow the following steps. First collect all of the images that you want to set a wallpaper for your desktop in a single folder, in this case, I am going to create a folder in my C drive with name C:\Wallpapers. Now place all of the wallpapers into the wallpapers folder that we have just created. 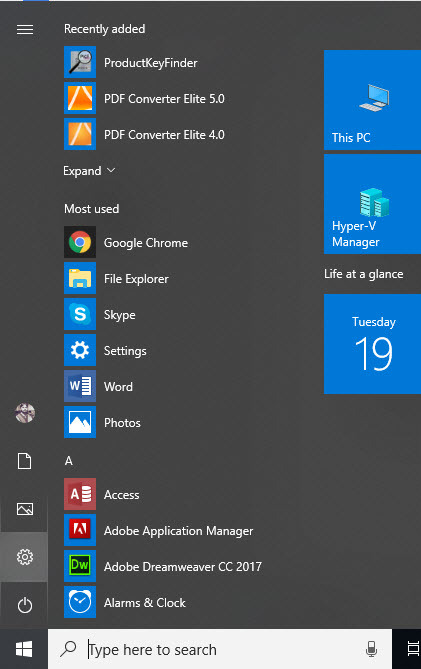 Now click on start menu and click the setting icon to open the setting in Windows 10. 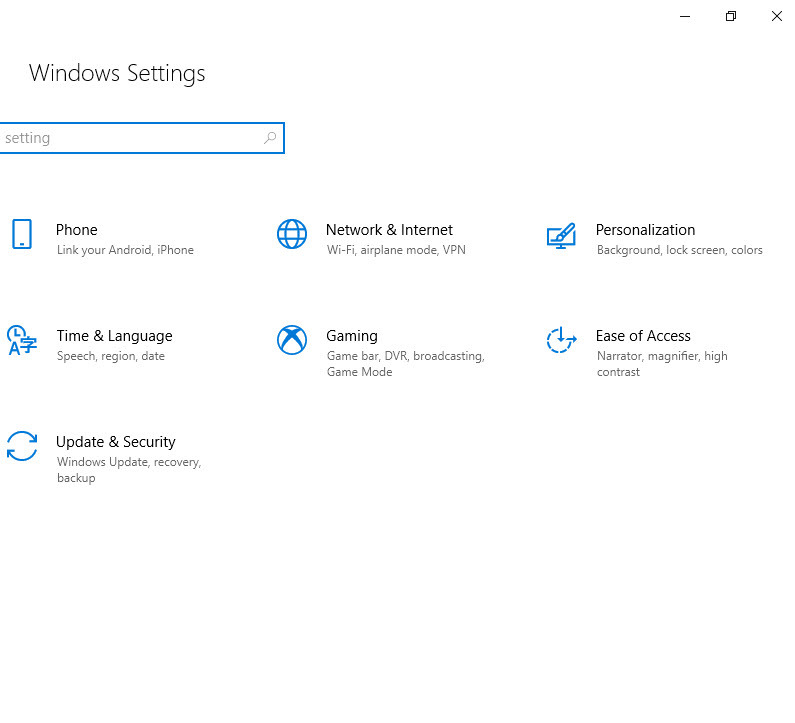 Then click on personalization it will open up settings for wallpaper themes etc. On the left menu click on the background, on the right side it will show desktop background settings. 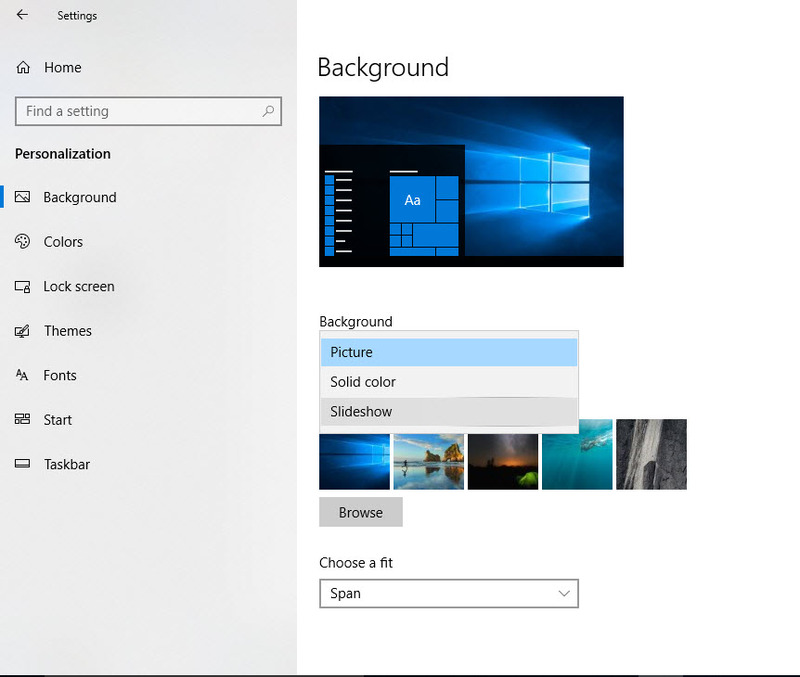 On the background settings in the dropdown menu select slideshow. It will ask you to select the album that you want to run as a slideshow. 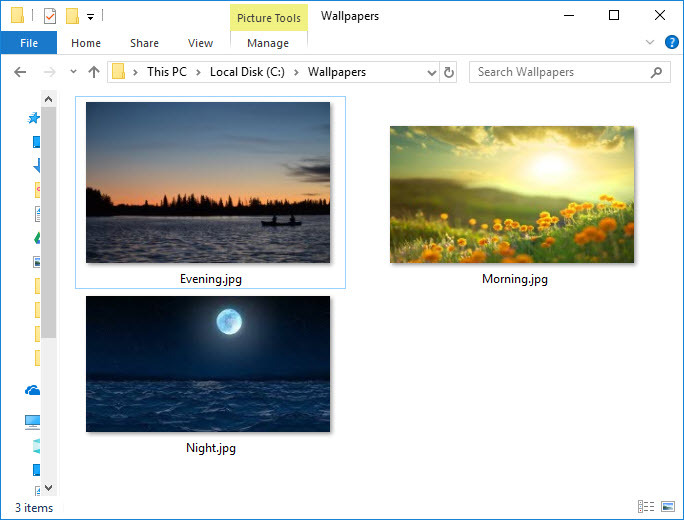 Click on browse and select the folder in C drive that we have created that is C:\Wallpapers. Once selected it will show you time change option from where you can set the time after which the wallpaper will automatically get changed. You can select change picture after every 6 hours. There are other settings like shuffle the image or what to do when the laptop is running on low battery. You can select the settings as per your requirements. 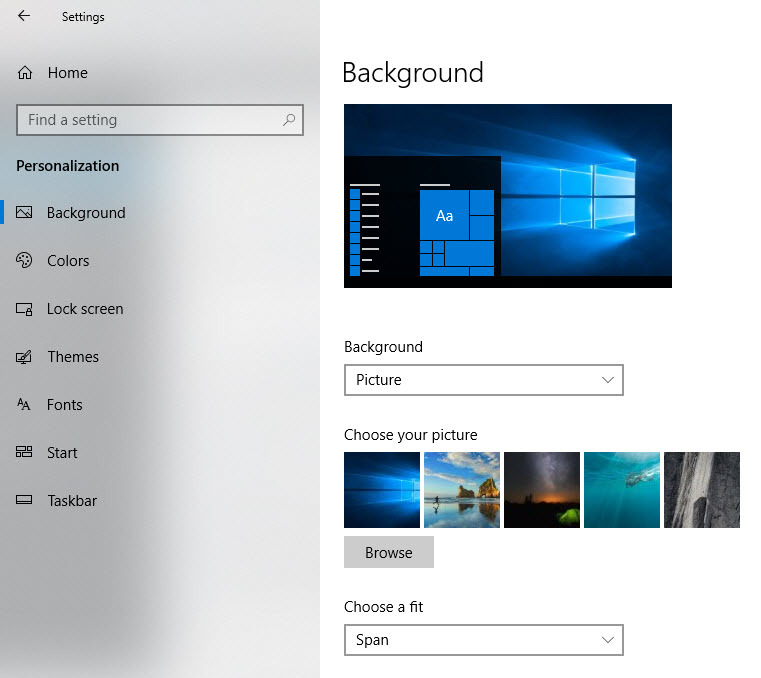 Please note the the wallpaper change sequence work in alphabetical order or ascending order like if we have image name starting with A that will be displayed first and the B will be displayed second and the C will be displayed third and so on. Likewise, if we have images with numbers like 1, 2, 3 it will display 1 then 2 then 3 and so on.